Welcome to Citywide Towing, the full service 24/7 Towing and Emergency Roadside Assistance Company proudly serving motorists in the Greater Dallas area. We are locally, family owned and operated, as well as fully licensed and insured. Our friendly and helpful dispatchers are standing by to assist stranded motorists and our road service technicians are well trained and equipped with the latest tools and equipment to get you back on the road in no time. 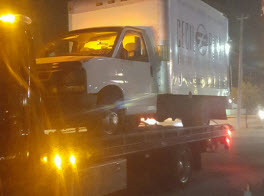 One of the ways Citywide Towing offers the best possible service to our customers is by having a fleet of well maintained vehicles for all of your towing and roadside assistance needs. Our staff of dispatchers and technicians are highly trained with years of experience in our industry. 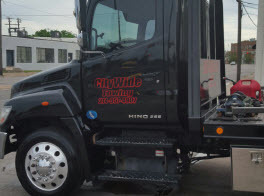 With a combination of high quality staff and vehicles, no other towing and road side service company can offer you the level of service that we provide. At Citywide Towing, our comprehensive services cover a great deal more than just your towing needs. We are equipped to handle any problem that can cause your vehicle to become immobilized. If you are on the road and a tire goes flat, you run out of gas, your car battery dies or you get locked out of your vehicle; we will come to you and fuel you back up, fix the tire, give you a jump-start or provide an auto lockout to get you back on the road. No matter what has caused your vehicle to become immobilized, we will come to assist you as quickly as possible. 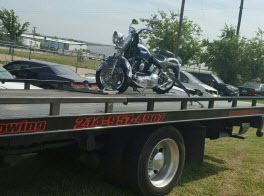 We offer all kinds of emergency towing services for cars, vans, trucks and motorcycles including: flatbed, wheel lift and dolly tows, heavy duty tows, low clearance tows, local and long distance tows, winch outs and recovery, wrecker service as well as fast accident scene response. Our roadside assistance services include auto lockouts, tire changes, jump starts, battery charge and replacements as well as fuel, fluid & air delivery. We care about your vehicle and property and we value your time, which is why we complete all our towing and road side services in a prompt, professional manner. 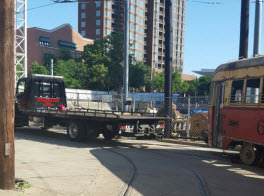 Count on Citywide Towing for unbeatable prices, efficient service and reliable results! We also pay cash for junk cars – just call us for details.